On our quest for weekend getaway destinations, we discovered a pretty little place that may not be on your radar if you don’t live in the Virginia area. 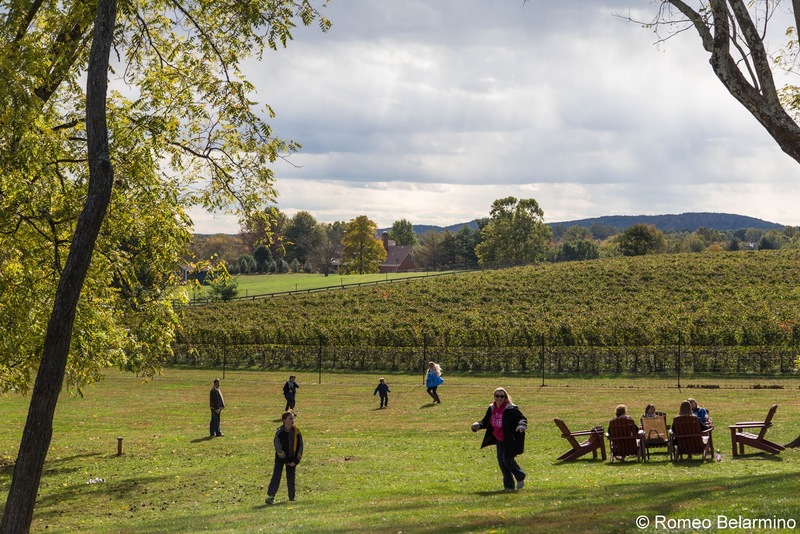 Prince William County is a great Virginia weekend getaway destination. Coming from the west coast, we devoted a four-day weekend to this pretty little piece of Northern Virginia. Prince William County works either as a Virginia weekend vacation or as a side trip from Washington, D.C. 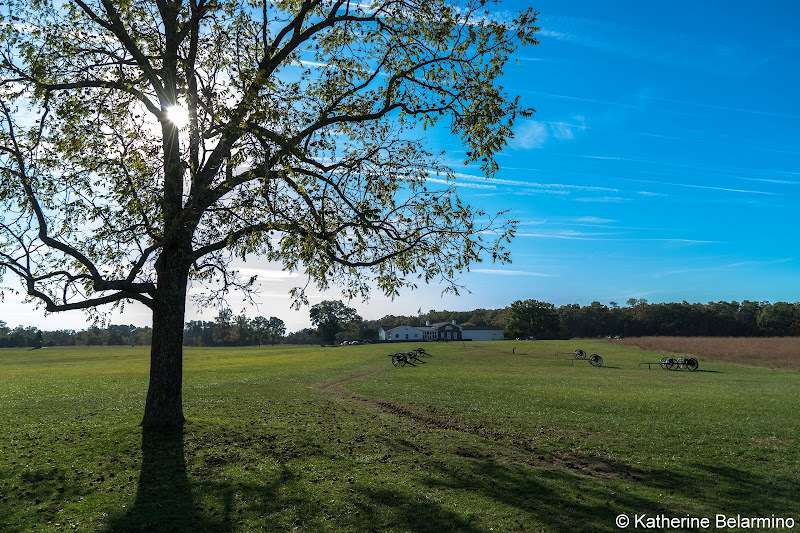 Prince William County has small town charm, Civil War history, and gorgeous landscapes. Its relaxed pace and open spaces make it easy to forget the most powerful city in America is just a short drive away. A big draw for travelers from across the country is the east coast’s Civil War Battlefields. 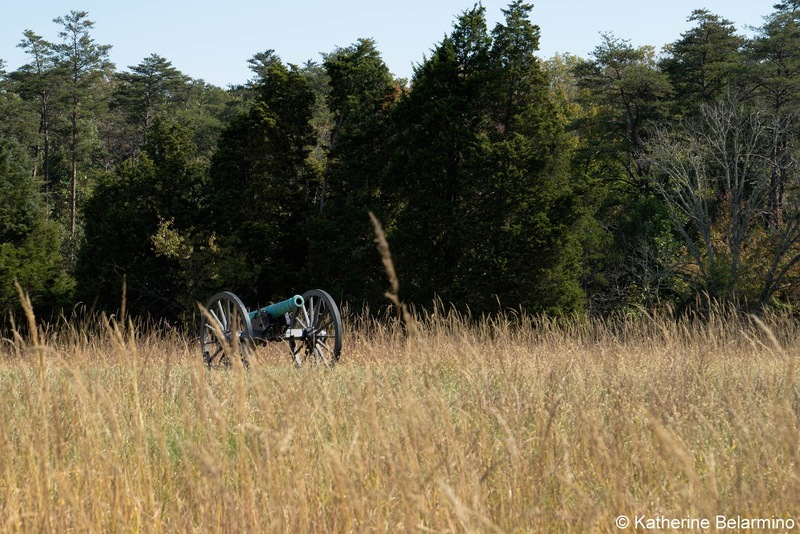 Prince William County offers travelers a two-for-one special with Manassas National Battlefield Park. Two important Civil War battles were fought here, both of which were victories for the Confederates. 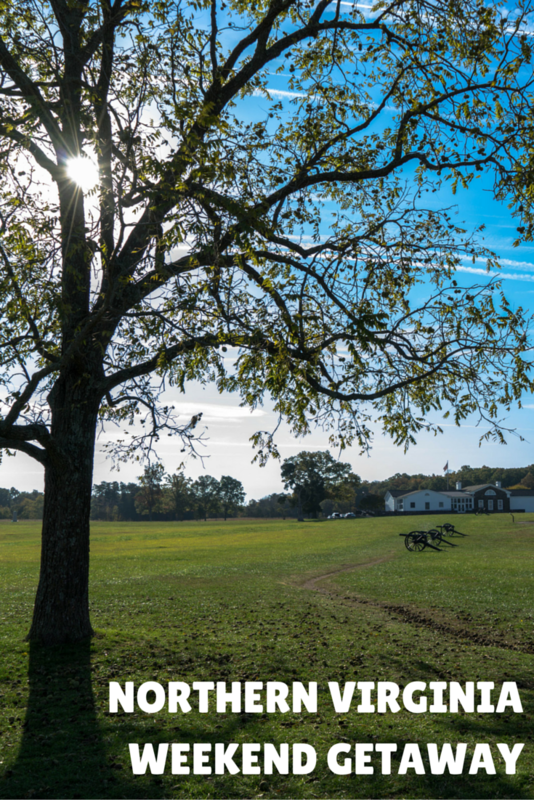 The Battle of First Manassas was one of the first major battles of the Civil War fought here on July 21, 1861. This short but bloody battle resulted in the term “rebel yell” and General Jackson earning the title Stonewall Jackson. The Battle of Second Manassas occurred a year later, lasted for three days, and opened the way for the Confederates to invade the North. The park’s 5,100 acres can be toured on ranger-guided walks, a self-guided driving tour, and multiple hiking trails. Visiting this National Park is well worth at least a day trip from Washington, D.C. 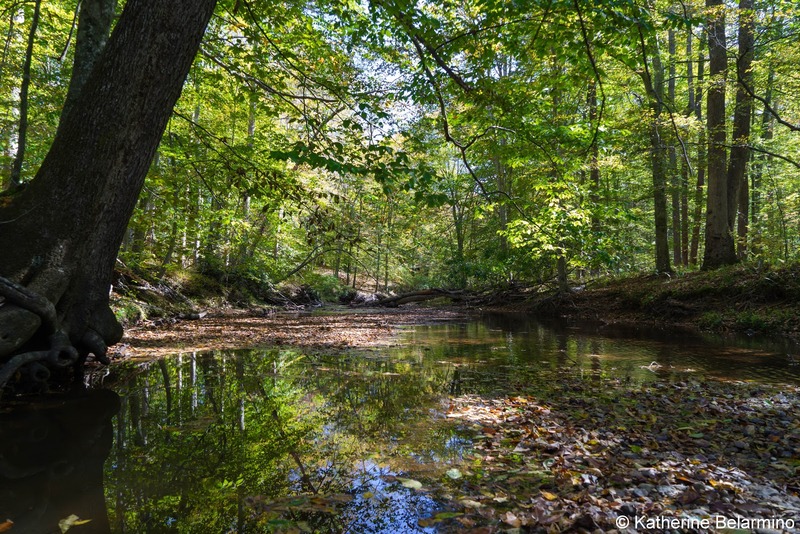 The Bull Run Mountains Conservancy protects an area of land in the Bull Run Mountains that contains both history and nature. For history, visit the Chapman / Beverley Mill Historic Site. This mill was built in the 1700s and was a working mill for over 200 years. It also stored meat for Confederate forces during the Civil War and the surrounding area was the location of a Civil War battle. 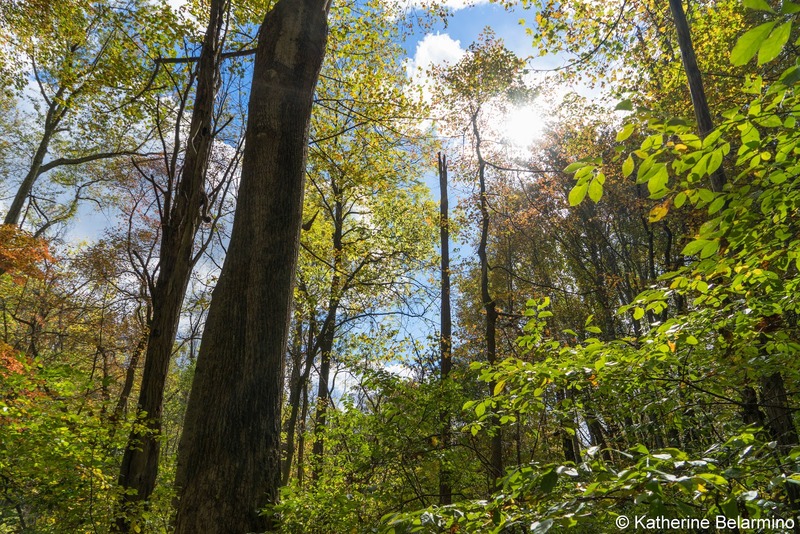 For nature, head into the trees and follow one of five hiking trails. Prince William Forest Park is part of the National Park Service and is one of the recreation areas created during the Great Depression. As part of the New Deal created by President Franklin D. Roosevelt, the Civilian Conservation Corps (CCC) was created to provide work for unemployed single men. Their job was to conserve and develop natural resources. Another part of the New Deal was to create Recreational Demonstration Areas near city centers to provide outdoor areas. Prince William Forest Park, originally Chopawamsic Recreation Area, was built by the CCC as children’s relief camps. Impoverished kids were bussed in for two-week long camps where they received free health care and had the chance to play outdoors. Today Prince William Forest Park has 37 miles of hiking trails, 21 miles of bike trails, and a scenic drive. Members of the public can reserve ranger-guided tours to visit some of the original buildings left over from the children’s relief camp. Be sure to visit the Visitors Center to watch a short film about the park and camps which was filmed in the 1930s. 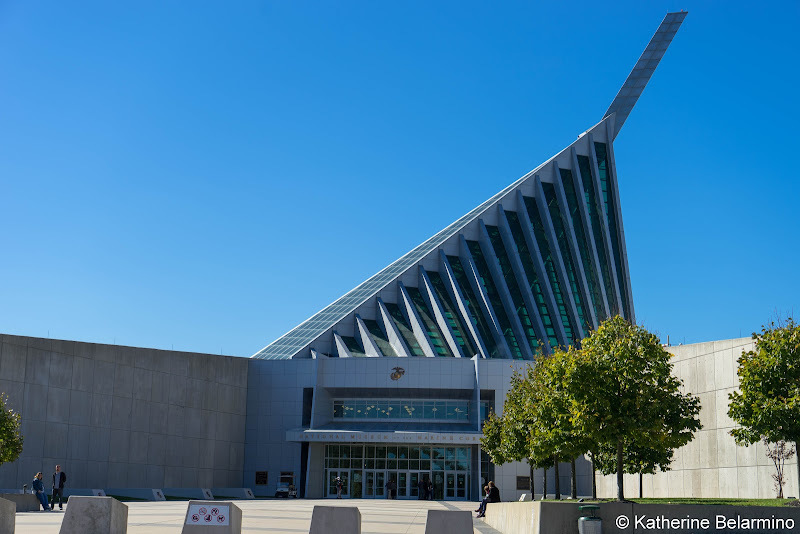 While researching our trip to Northern Virginia, I was intrigued by the description of the National Museum of the Marine Corps. It sounded like it was worth a visit. What an understatement! The museum is not only a tribute to our Marines, it is the history of the Marines through their eyes. This is accomplished with exhibits illustrating what Marines have done and dealt with during wars throughout time. The exhibits are incredibly realistic. Each Marine in the exhibits was created with cast molds of real Marines. 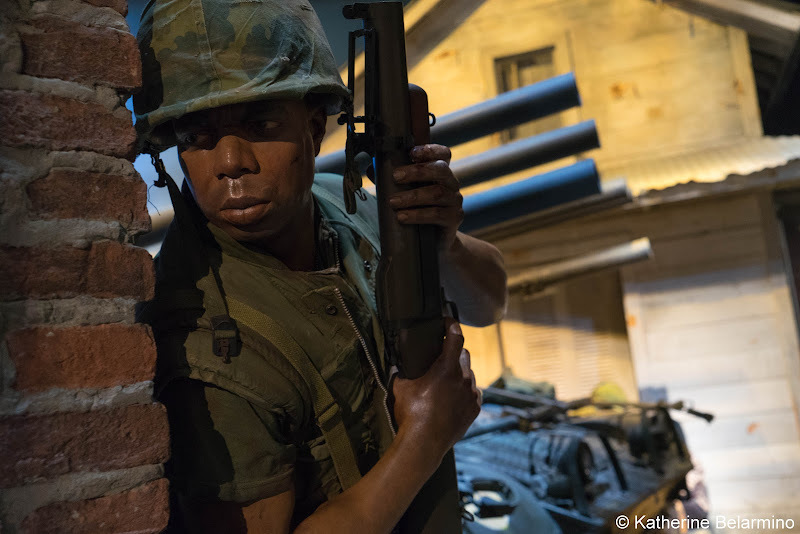 Not only are they created from molds of real Marines, they are of Marines that actually held those roles being illustrated, and those Marines gave their input to make each exhibit as realistic as possible. The casts and exhibits were created by two former Disney Imagineers. Families tour the museum and are moved to tears because the museum helps them envision what their Marine loved one goes through in their service. The museum building is an art piece itself. Its shape is made to mimic the statue of the raising of the flag on Iwo Jima. Note that the museum will be closed January through March 2016 for completion of the final phase of the museum. When it reopens, the exhibits will extend through present day (it currently stops at the Korean War) and there will be a big screen experience with a Medal of Honor film. The museum is just down the street from Prince William Forest Park. 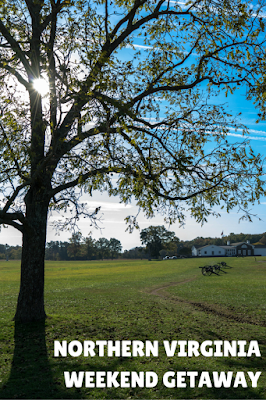 The perfect day starts with a hike in the park followed by lunch at the museum’s Tun Tavern, a restaurant modeled after the tavern in Philadelphia where the Marine Corp held its first recruitment, and then a self-guided tour of the museum. Brentsville became the county seat of Prince William County in 1820 and continued to be so through the Civil War. A Virginia cavalry was formed on the courthouse lawn in 1860, other Confederate units drilled there, and the Civil War Battle of Bristoe Station was fought just three miles away. The town wasn’t able to recover from the Civil War and they didn’t want to build a bridge to bring the new railroad in, so the county seat later moved to Manassas. The courthouse, which was built in 1822, was active from 1822 to 1893 and still stands today. 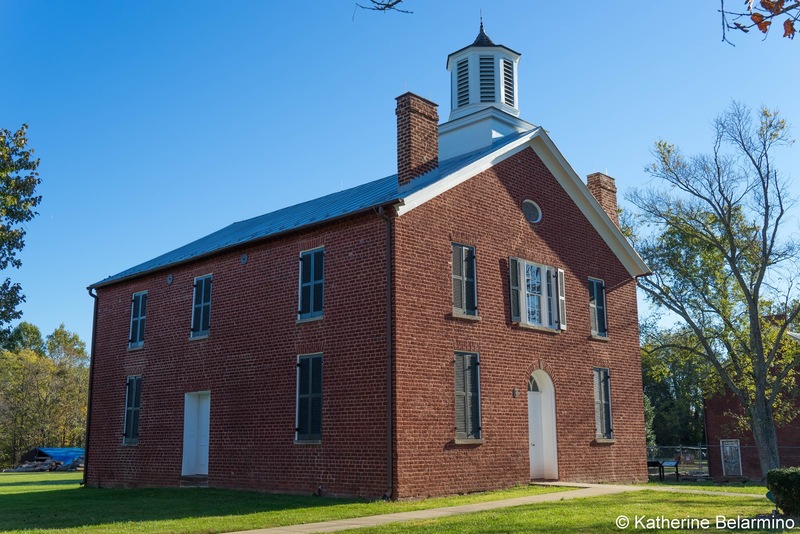 The courthouse can be toured along with the jail, Haislip-Hall House, Union Church, one room schoolhouse, and Brentsville Tavern archaeological site. The grounds of Brentsville Courthouse Historic Centre can be visited daily during daylight hours. There is a self-guided interpretive trail with placards along the way describing the buildings and town’s history. Guided tours of the buildings are offered May through October. Going back even further in history is Dumfries, Virginia’s oldest chartered town. Dumfries was chartered in 1749 and was the county seat before Brentsville. To learn more about Dumfries’ history, take a guided tour of the Weems-Botts Museum, a house museum. 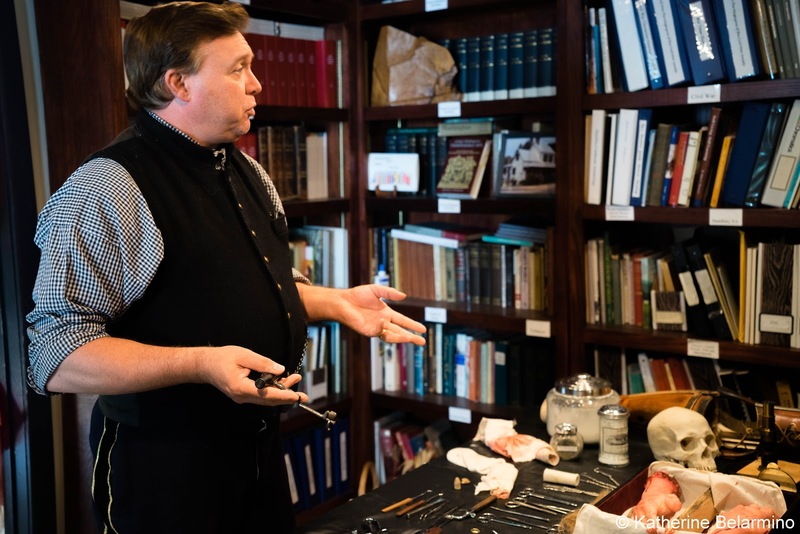 The tour starts in the Museum Annex where you will learn all about medicine during the Civil War, including the primitive medical instruments and procedures like bleeding and amputation. The tour then moves into the Weems-Botts House where two important Dumfries individuals lived. Mason Weems, the first famous resident, was a parson and friend of George Washington. He wrote two very important pieces about Washington. The first was Washington’s biography and the second was the cherry tree story which he wrote for a children’s primer. The other famous resident was Benjamin Botts, an attorney who was the Johnnie Cochran of the period as he represented Aaron Burr in a trial for treason in which he was acquitted. Botts’ life and career were cut short when he died, along with his wife and niece, in the Richmond Theater fire of 1811. Don’t play golf? You don’t have to play golf to play a round at General’s Ridge Golf Course. 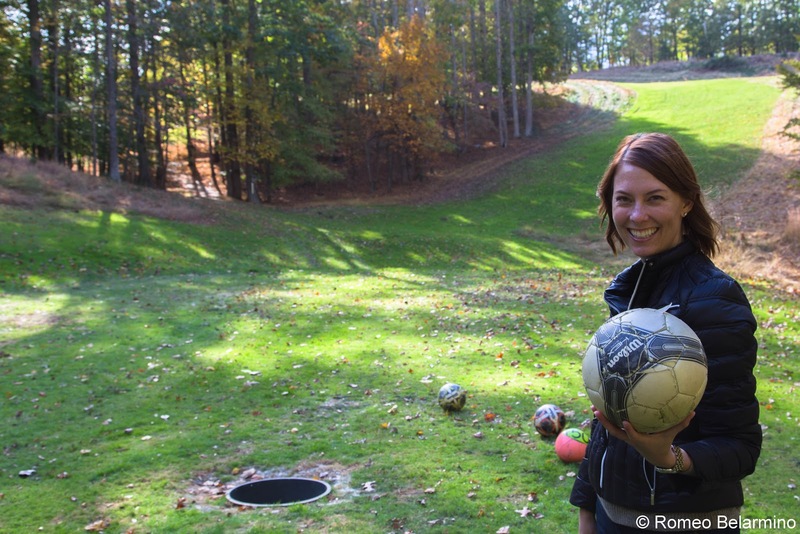 General’s Ridge was the first to become a certified FootGolf course in the D.C. Metro area. In case you haven’t heard of it before, FootGolf is a combination of golf and soccer. It’s played on an 18-hole course (shorter than a regular golf course) by kicking a soccer ball from the tee to a 21-inch hole. Just like golf, the goal is to get the ball in the cup scoring par or better. If you’re not sure if FootGolf is for you, try it out once. It is a lot of fun! Occoquan is a quaint historic town on the banks of the Occoquan River. The town’s main street, Mill Street, runs parallel to the river for about four blocks, making this little town very walkable. 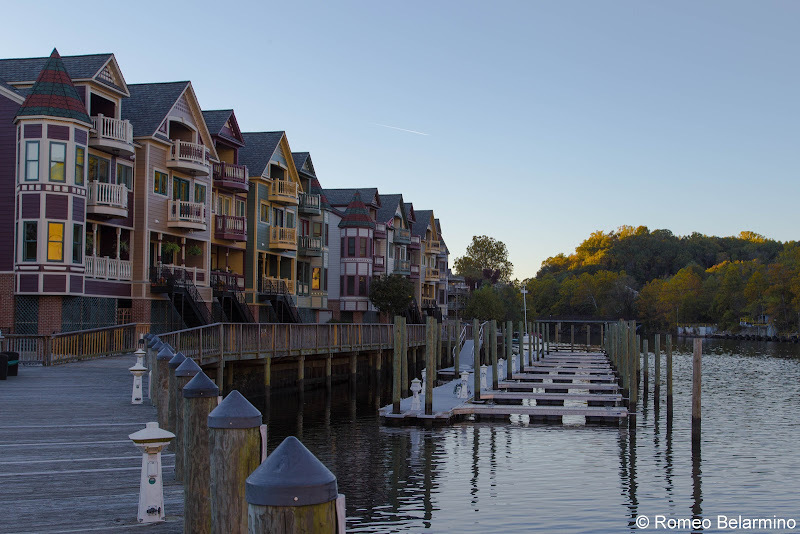 Occoquan offers shops, restaurants, and a boardwalk along the water. To learn a little about Occoquan’s history, visit the Mill House Museum, the only remains from the 18th-century grist mill. For a sweet treat, stop in at Mom’s Apple Pie Company for a slice of one of their all-natural pies, like apple pie made from Shenandoah Valley apples. For dinner, visit The Secret Garden Café, a restaurant hidden in a little courtyard off the main street in a house built in 1840. The restaurant serves dishes made from scratch with fresh ingredients as well as some pretty spectacular desserts. Manassas is the current county seat of Prince William County. Manassas is filled with historic attractions, art galleries, boutique shops, and locally owned restaurants. One of the main reasons Manassas became the new county seat was because of the railroad. 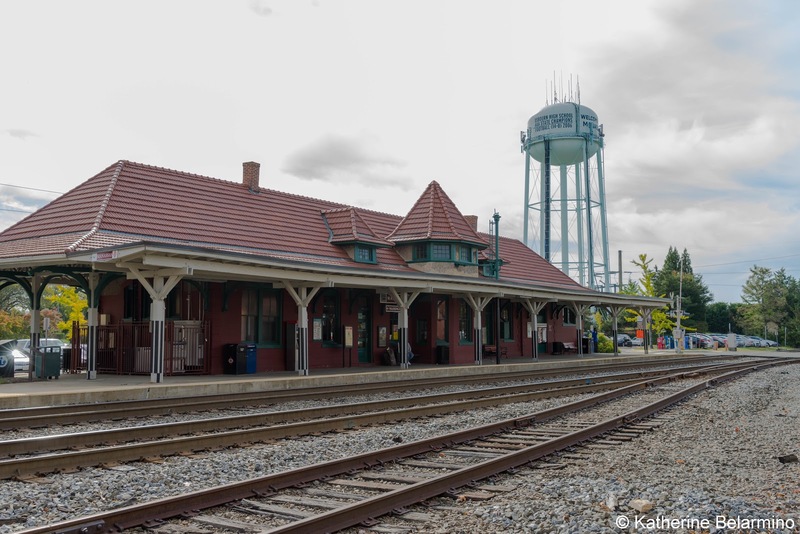 The Manassas Train Depot is still in use and is an iconic piece of Historic Manassas. We visited Manassas for a short time to enjoy lunch. While there are a lot of recommended restaurants to choose from, we chose to dine al fresco at City Square Café, which came highly recommended by the chef of Malone’s (our first choice, but closed for lunch). City Square Café’s outdoor patio provides a view of the train depot and the Manassas water tower. I had the crabilicious Crab Cake BLT, but Rome had a sandwich that apparently changed his life (and this after telling me he wasn’t really in the mood for a sandwich). Rome’s recommendation is for you to order the Chivito, the national dish of Uruguay, which is a sandwich with steak, a fried egg, sliced ham, roasted red pepper, melted cheese, lettuce, and tomato. They also serve amazing house-made French fries. Update: After publication we learned that City Square Café closed on December 31, 2015, after 26 years. Mariachi Tequila Bar and Restaurant will be taking its place. The Winery at La Grange is Prince William County’s winery. The winery is housed in an 18th-century manor house which was used as a hospital during the Civil War. The winery tries to use mostly Virginia grapes and creates European-style wines which highlight secondary flavors of the terroir. Notice the glass of wine on the fireplace mantle in the tasting room. Every day a glass of wine is left out for the winery's ghost, Benoni, who used to live in the manor in the 1800s. 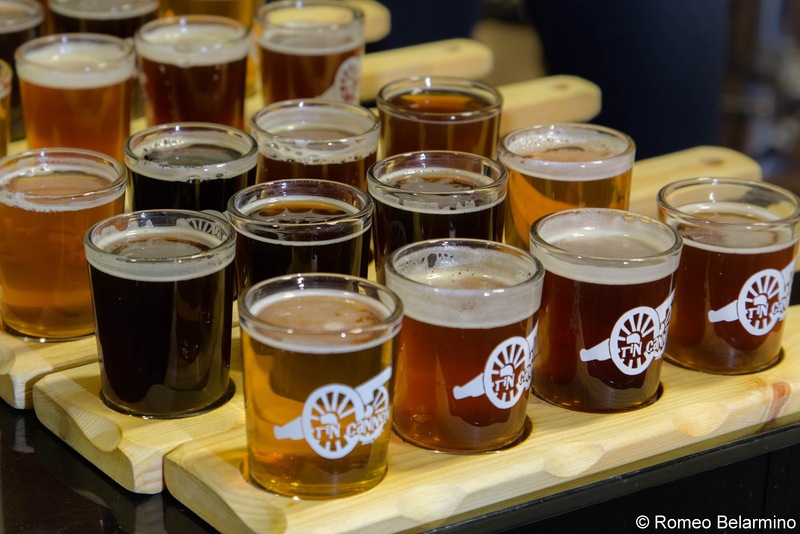 Virginia has recently joined the craft beer scene with an increase from a handful of craft breweries to over a hundred in just a few years. One of these new breweries is Tin Cannon Brewing Company, a nano-brewery that has been open for just a year. They have anywhere from six to 12 beers on tap at a time at their Gainesville tap room and brew those beers in the back in a small two-barrel system. Tin Cannon pours ales, ambers, IPAs, porters, and more. City Grille in the city of Manassas is a mom and pop privately owned restaurant that serves breakfast, lunch, dinner, and turns into a club at night. For a weekend getaway in Virginia, it is the perfect stop for Sunday brunch. 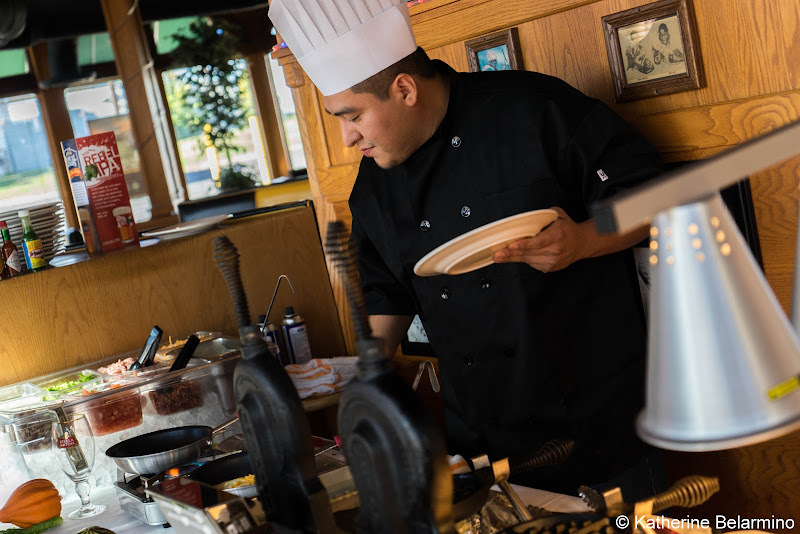 City Grille sets up quite a spread on Sunday morning with biscuits and gravy, grits, fruit, pastries, a waffle bar, and a made-to-order omelet bar. It seems like every year there’s a new sweets trend, be it cupcakes, bundt cakes, donuts, or what have you. A new sweet craze is Duck Donuts where you can have your donuts made to order. There are a handful of Duck Donuts locations in Virginia, North Carolina, New Jersey, and Delaware. 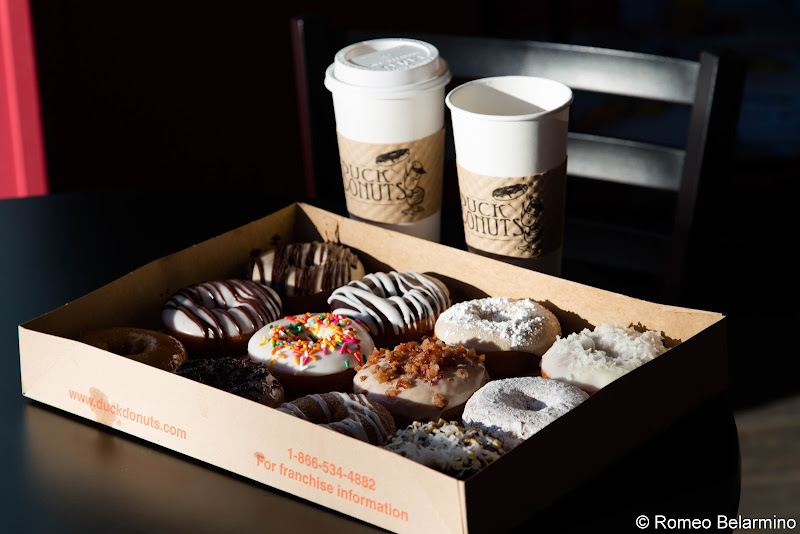 Duck Donuts opened in Bristow, Virginia on August 24, 2015. Duck Donuts makes your cake donut (or donuts) right before your eyes and then tops it with any and all toppings you choose. The possibilities are countless. My absolute favorites were the Reese’s inspired donut topped with peanut butter icing and a chocolate drizzle as well as the chocolate, coconut, and peanut topped donut. The French toast and pumpkin pie donuts were also fantastic. If you’re so inclined, you can get a maple bacon donut. The Bone serves finger-licking-good barbecue in Northern Virginia. The original Virginia restaurant is located in Gainesville and they have another location in Old Town Manassas. However, the original Bad to the Bone BBQ is actually located in San Juan Capistrano, California. The Bone owner Mike Hoover realized there was a need for good barbecue in the area, so reached out to his cousins who own Bad to the Bone BBQ. 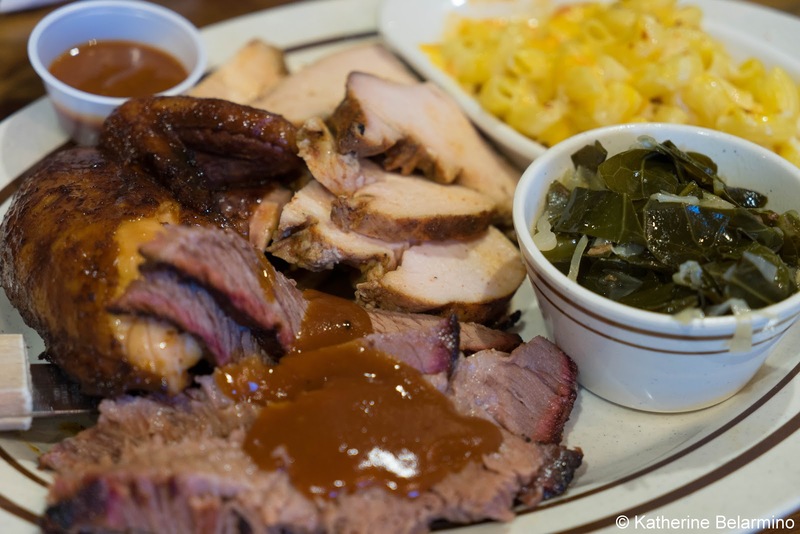 (Oddly enough, we had never heard of this barbecue restaurant just an hour’s drive north of our home, but since our return from Virginia it came up in conversation as being the best barbecue restaurant in Orange County.) We sampled a number of The Bone’s offerings including the pork, which is smoked for 14 to 16 hours, and the brisket, which is smoked overnight. The meat is tender and flavorful, the barbecue sauces are tangy and spicy, the mac and cheese is cheesy, the greens are vinegary, and the pecan pie has just enough bourbon to cut the sweetness. 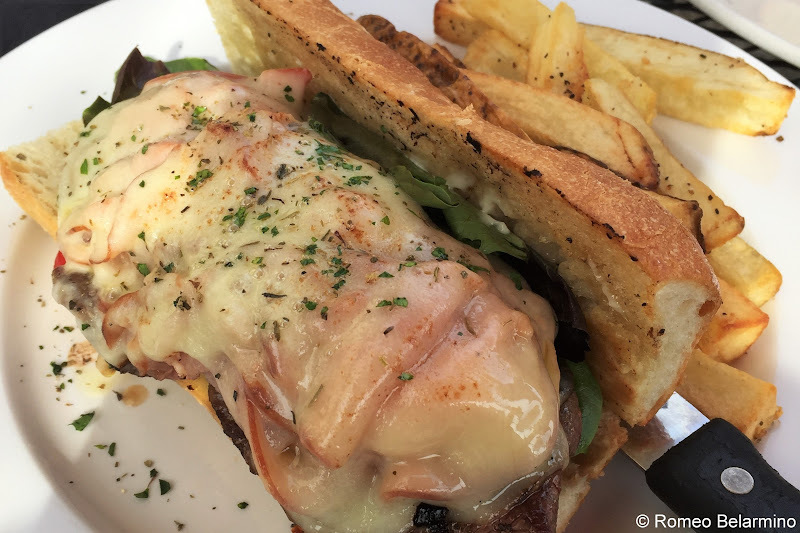 For health-conscious diners, The Bone also has pulled chicken, smoked turkey, and salads.